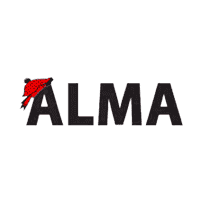 Alma Chrysler Jeep Dodge Ram is growing. We are looking for automotive technicians with experience to join our team. We are in need of a flat rate technician that thrives in a fast-paced environment, keeping quality work as a first priority. Only team players who are driven and care about customers should apply. The ability to fix cars right the first time is a must. If you are looking for a career where you are paid well, appreciated, and can advance, then this is the job for you. We offer full benefits, 401k, paid holidays/vacations, medical/dental. WE DO NOT CALL YOUR CURRENT EMPLOYER. General Requirements: Must have own tools, tool box, a valid driver’s license. All applicants must pass drug screening and background checks. Click “Apply for Position” below or call ​989-634-1510989-681-3900.